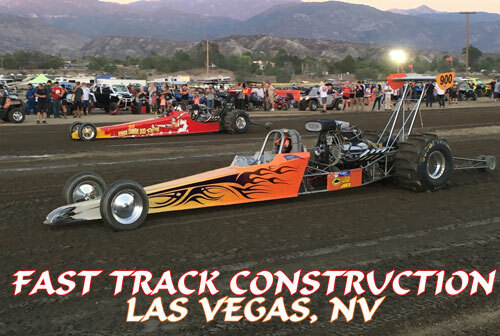 Fast Track Construction is home to the Las Vegas-based Top Eliminator Dragster piloted by Mark Punos. 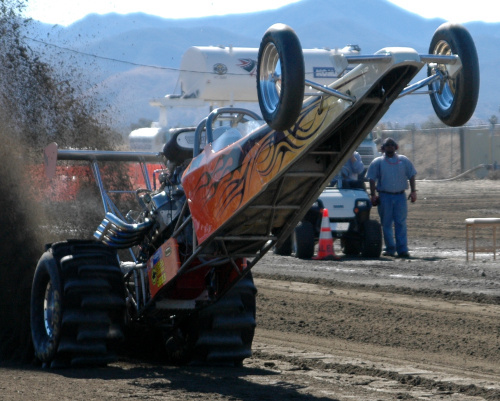 Mark is a long time sand drag racer with many race wins throughout his years of Pro Bracket racing up through his current ride in the ultra competitive 2.95 TE category. 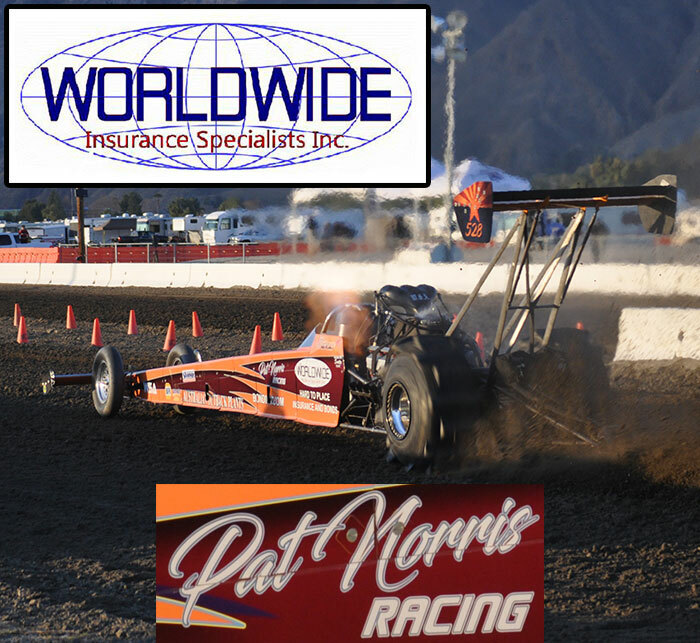 The current ride for Punos is a Blown Alcohol Big Block Chevy-powered Dragster that is always tuned right in near the 2.95 TE class index. 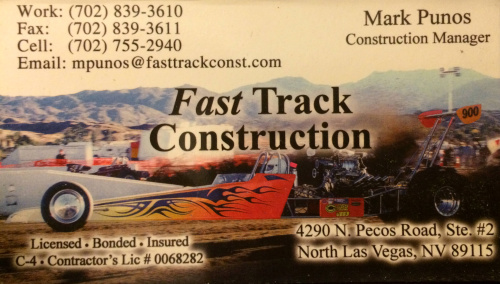 Mark is also the Construction Manager for Fast Track Construction based out of North Las Vegas, NV. Contact Mark for your Vegas area construction needs. We are looking forward to seeing the Fast Track Construction team on track during the 2017 race season.